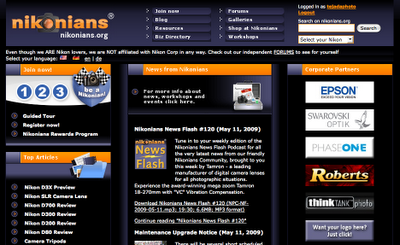 For those of you that are not Nikonians members you probably have not heard the news. I have been asked to teach a series of lighting workshops for Nikonians.org. I'll be conducting my first workshop in Boston on September 21 & 22. I have a list of other cities but not dates, I'll keep you posted as to where and when. The workshops are 2 days long and are designed for strickly Nikon shooters. You will learn how to create studio quality lighting using your SB-600, SB-800 & SB-900 strobes off camera. Nikonians is the Worldwide home for Nikon Photographers around the world, there are about 150,000 passionate registered Nikonians. If you are a Nikon shooter, I would recommend joining this great group. They have wonderful forums, latest new regarding Nikon gear, workshops, and great discounts to boot.